Bahar (Burcu Biricik) is a beautiful young woman who has everything in this life: a lovely husband Ahmet (Yigit Kirazci) and a wealthy life. She lives happily with her husband and is expecting her first baby. Bahar’s perfect life turns upside down in one day. 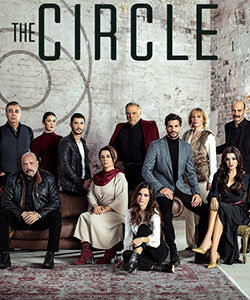 Her mother Sehnaz (Ceyda Duvenci) who works as a software engineer in a prestigious company is announced to die in an airplane crash. Nobody finds the airplane and dead bodies yet. Hence, Bahar does not believe that her mother is dead because she knows that her mother Sehnaz has a height phobia and never gets on the plane before calling her daughter. In fact, Sehnaz is kidnapped so that she could develop a computer code that she has erased for security reasons. She is a successful engineer who is responsible for developing a computer code for national defense industries. When she finishes coding, she discovers that someone in her company hacks into a computer system to control national defense industries. Ali Smith (Kerem Bursin) has had a tough life after his mom was killed by his father when he was just 4 years old. He starts to live in cargo boats together with a man Rauf (Osman Alkas) who has cared for him after this tragedy. Ali travels all over the world and considers the cargo boat as his home/country. He becomes a man with no country. Ali does not want to come back to Istanbul where he remembers the tradegy in his childhood. However, he returns to Istanbul out of pure coincidence when he becomes 20 years old. He needs to spend 24 hours in Istanbul until his cargo boat take off to the next destination. Whenever Ali sets foot in Istanbul, he manages to gets into trouble. 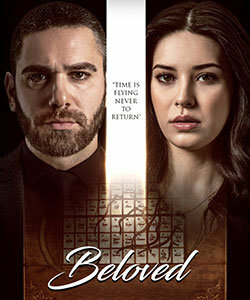 While he wants to help a young girl named Derin (Leyla Lydia Tugutlu), he loses his passport but finds true love. Ali and Derin spend all day together without knowing what will bring them the next day.